What Does Apply Segmentation Mean? Learn how you can segment your leads in your email software with this help doc! When you are creating your quiz you will notice "Apply Segmentation" on the configure page as well as the outcomes page as shown below. 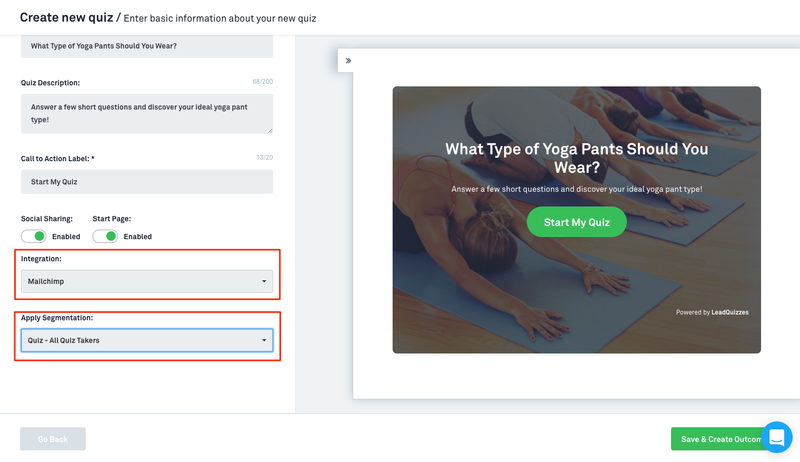 On the configure page this is the initial list, tag, or campaign (depending on your email software) that you would like your quiz takers to be saved to. 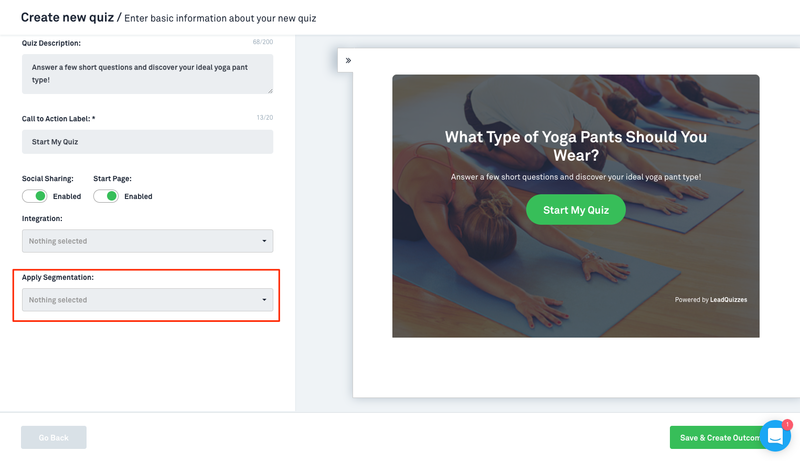 This will help you to easily search for leads that came in through your quiz when you are in your email software. 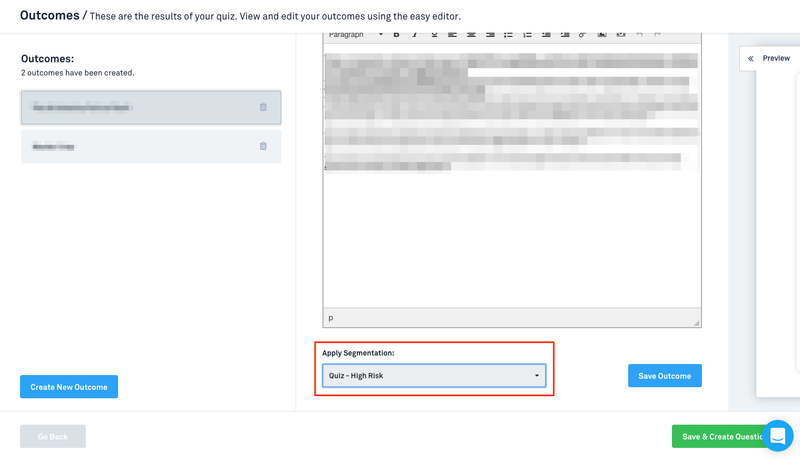 Once the segmentation is selected click "Save Outcome" to ensure it is applied.